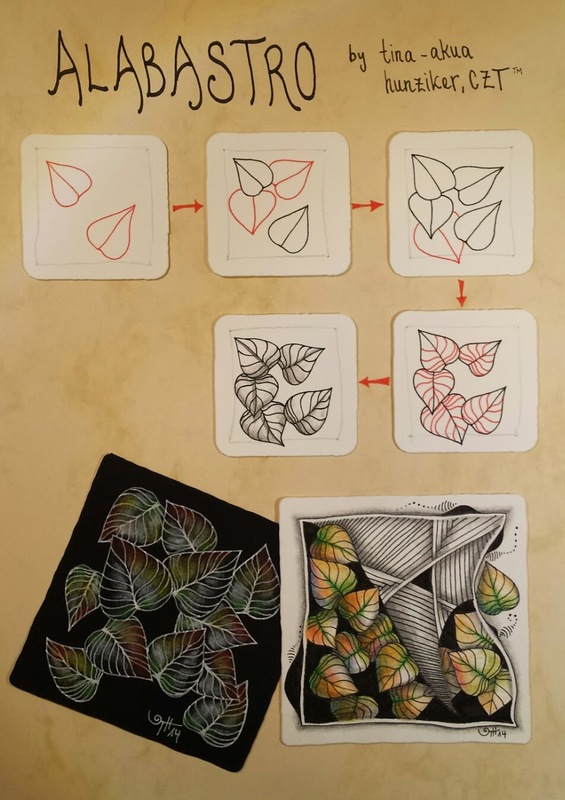 o.k., the challenge fit, with what i really wanted to do this week: DECONSTRUCT A PATTERN. 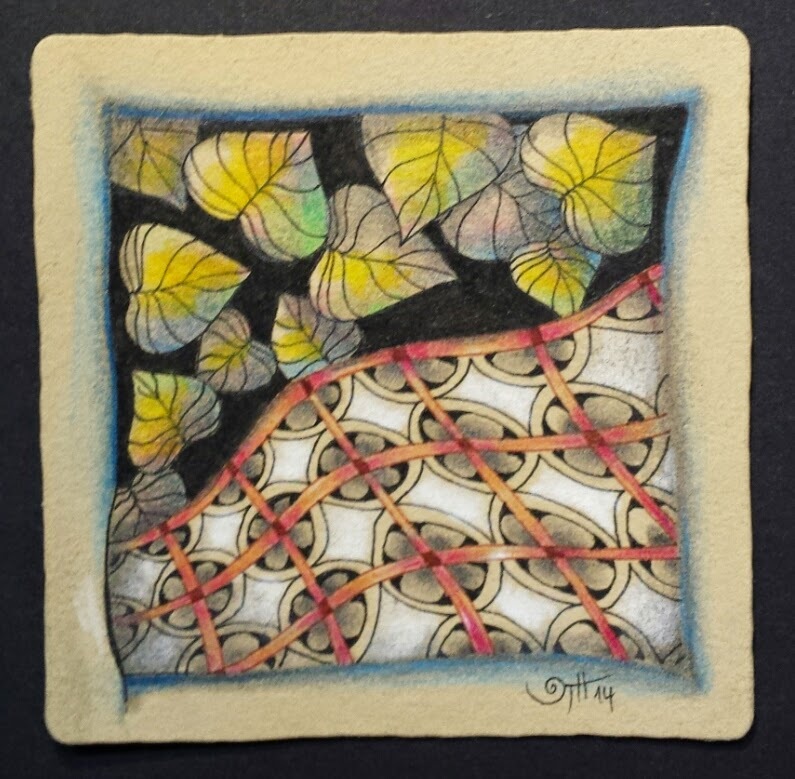 SETON and ALABASTRO on a renaissance-tile, black and brown micron pigma, pencil, white charcoal pencil, caran d'ache colour pencil: green, yellow, red, blue, that's it. if you leave a comment, i appreciate it. have a happy time. Alabasto is a great pattern, love the colors you used, sure the one on the black tile, so much autmumn colors, so warm. Your tile togethter with seton is great, the use of color on a renaissance tile is hard for me, and I admire your use of color! Wow, what lovely colors did you bring into this tile. This duo-tangle tuned out great. thanks for the step out for Alabastro. I love the way you use colour on your tiles. Such a pretty pattern, and your use of color is very nice! Thanks so much for the Alabastro Step-out. It and Seton are wonderful together in your Challenge Tile. Beautiful tile, and wonderful colors. Love the wave you have incorporated into your Seton pattern. Thanks for a delightful Post. Alabasto ist ein wunderschönes Muster! Dein Challenge 192 ist eine tolle Arbeit! Sehr schön: Alabasto und dein Challenge! Nice tangle and I like what you did with Seton. Looks like a blanket. I can imagine a picnic in the fall, under a beautiful tree with a quilt spread underneath for a nap. Wonderful colors too! thanks for all your comments.to anwer the question of suzanne fluhr:there are the origpnal white tiles, the black tiles.... and renaissance- tiles are light brown/ beige.